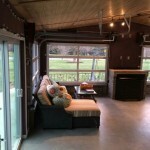 Hi Jim, Just wanted to let you know your man did a great job on the installation of our new garage door. Thank you. 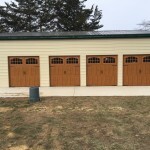 Our new garage doors were installed yesterday by Jaydor and they are beautiful. 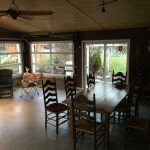 Neighbors have already commented how much they add to the house, plus it is great having quiet doors that work smoothly. 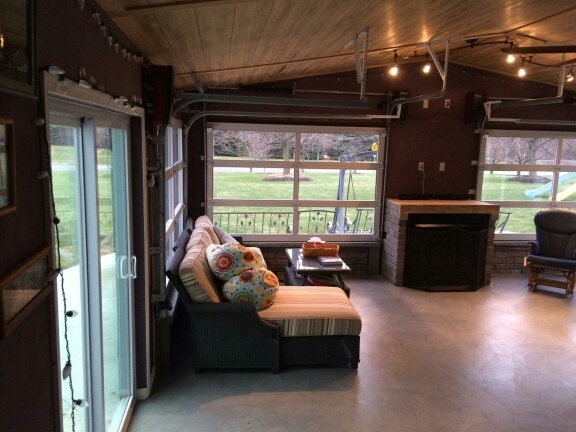 The windows bring in light and make the garage more functional. I am sure we will get questions about our source and we will be glad to direct new customers to you. You have just completed the replacement of 76 garage doors and many motor operators in Princeton Village and I would like to take this opportunity to thank you for an exceptional job. The work was scheduled efficiently with our homeowners, and the work was done with a minimum of disruption and upset. Your technician, Robert, was especially proficient, helpful, and extremely courteous, and he always cleaned up at the end of each garage's work. The garage door was installed yesterday and it is so quiet! We also really like the light sensor when we open door to go into garage. I appreciate all of your help choosing this door for our home. Just wanted to tell you what a wonderful experience working with Jaydor has been. From start to finish, everything was a breeze. 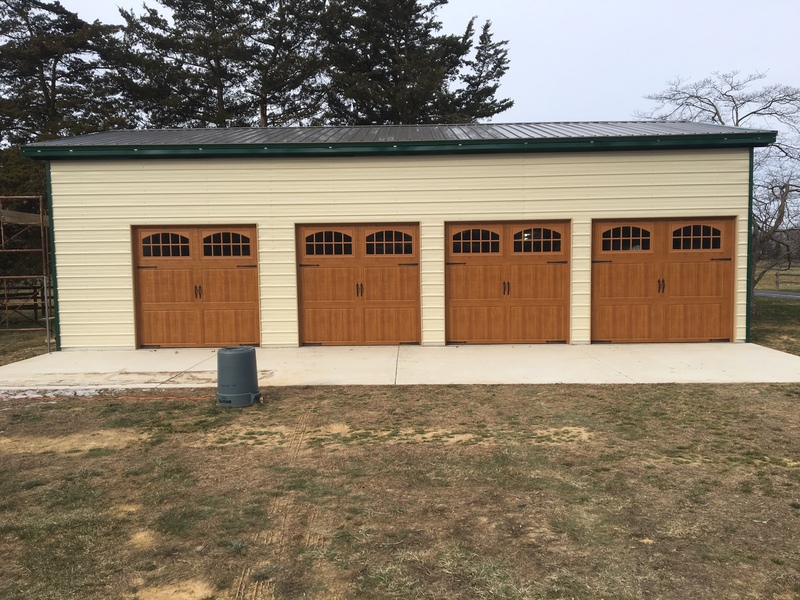 Our questions were answered as we were eased through the process of picking just the right door for our garage (which could have been a daunting task, given how many styles and options are available). Installation was amazing -- your crew was friendly, efficient, professional and SPOTLESS! Everything happened right on schedule and we could not be happier both with the service and the door itself. We have no hesitation in recommend ing Jaydor to everyone -- in fact, we've already started! 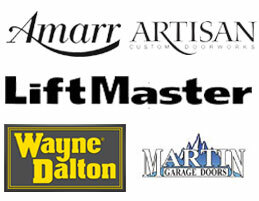 Jaydor's mechanics and installers went above and beyond with our four garage doors this month. They took a bad situation with ill-fitting doors from the manufacturer and not only made them fit, but put in new jams and painted them. As on owner of a restaurant chain with over 20 units, I deal with contractors and mill work on a regular basis. They think outside the box and make the customer very happy. I would recommend The Jaydor Company to any who has a beautiful home and wants to keep it that way! I thought I should let you know we have received very positive feedback from residents on the job Robert is doing.....he has been very helpful with information when approached and has a very positive attitude. It's obvious he handles his job with skill. We've also received positive feedback on the helpfulness and attitude of the folks at your end handling the scheduling. Keep up the great work ! J. Jorda, Head of Home Owner's Assoc., Eaton Village in Hershey's Mill | West Chester, Pa. Your guy Chris did an awesome job!!!! Very very happy with the results. Doors looks great. Jaydor installed my new overhead garage door today. I just wanted to let you know your recommendation that I consider an insulated door instead of non-insulated was excellent advice. It turns out the raised edge of the concrete floor was not straight. If I had gone ahead with my original choice of non-insulated door, it would have been necessary to cut part of the concrete in order for the door to fit. The installers were on-time, skilled, efficient and neat. They took adequate time to ensure I understood the operation and maintenance of my new door. I appreciate the expertise and professionalism of you and your staff, and am glad I chose The Jaydor Company for my overhead garage door. We met with the sales rep from Jaydor and he was very professional and knowledgeable. He offered us recommendations on color and style while staying within our budget. I’m looking forward to our new garage doors! I just wanted to thank you guys for getting my doors on before Christmas. I am very happy with how they look! The crew who installed them was great- nice guys and did everything to make sure things were done exactly how I wanted. I will definitely be contacting you when we put our house addition on. We are very happy with the new garage doors. They work well and they are quiet. We are happy customers. Travis and Mike did a fantastic job!! Door looks great and is amazingly quiet. Thanks for a first-rate job! 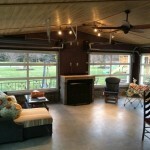 From sale to installation to follow-up, we found you professional, personable, attentive and accommodating. And, of course, we are thrilled with the doors! Thanks to your guys for the garage door installation. They look excellent. I want to tell you how happy I am with my garage doors. I am thrilled with them. They are such a beautiful addition to my house. My neighbors have knocked on my door to compliment me on them and tell me how the doors enhance the appearance of my home. Also, it was a pleasure to deal with you company. Every single employee that I dealt with was courteous and informed. You kept your word; everything was done in a timely fashion; everything was cleaned up neatly. You guys did a great job on the new doors! Service from Jaydor was fantastic every step of the way. I appreciate you and your team's support and I'm happy to recommend you any time. In December of 2013 your company put up doors for me at my home. The job is beautiful and we have been enjoying the new room! I attached pictures to show you how the room turned out. We love it! 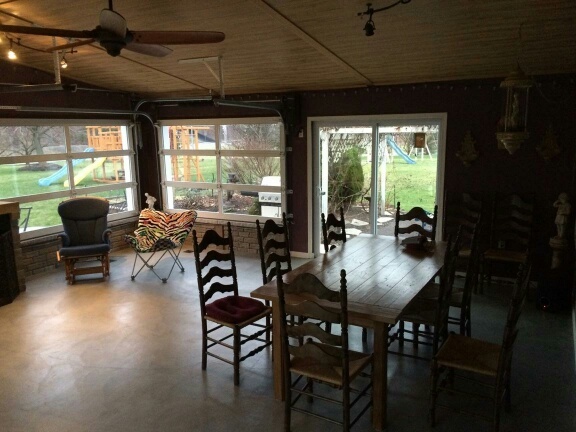 Everyone comments on how unique the room is and we share your business with them all. Thanks again. Looks great, hi lift exactly what I wanted. You helped my wife and I get a new garage door installed in Dec. The door is great and we can't figure out how we lived with the previous door. I just wanted to thank you for a job well done. Our new garage door looks awesome! Ed was out yesterday to complete the flashing and weatherstripping which was a good suggestion by you. Thanks Jim. Your guys did a great job. The doors look fab! Thanks. Robert & Eric just left. They were excellent craftsmen!